Staying at Parador de Jaen was an unbelievable experience! After staying at Parador de Carmona we were convinced that nothing can top it off. But just when you think you have’ve seen the best Spain’s paradores, another great one comes along. 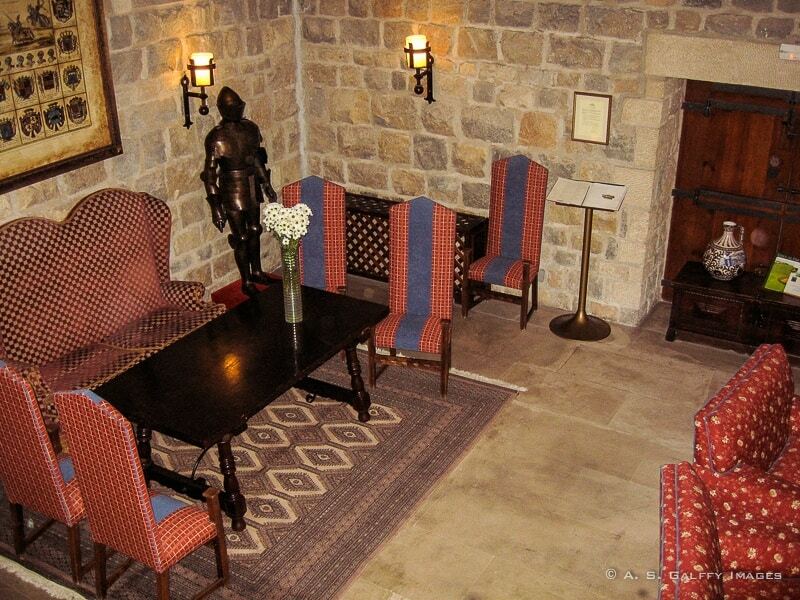 Located in a 13th century castle, this parador is one of the most unique that we have visited so far. 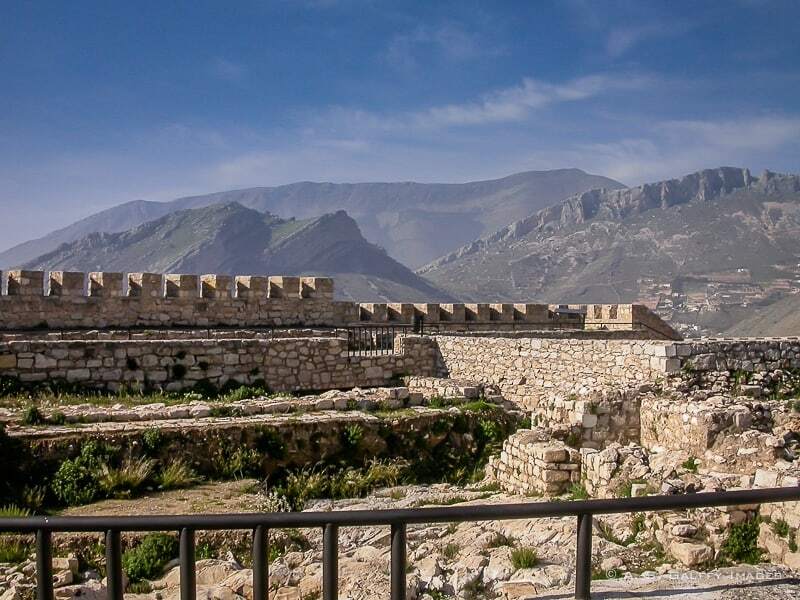 Parador de Jaen sits high above the city, atop Santa Catalina Hill. 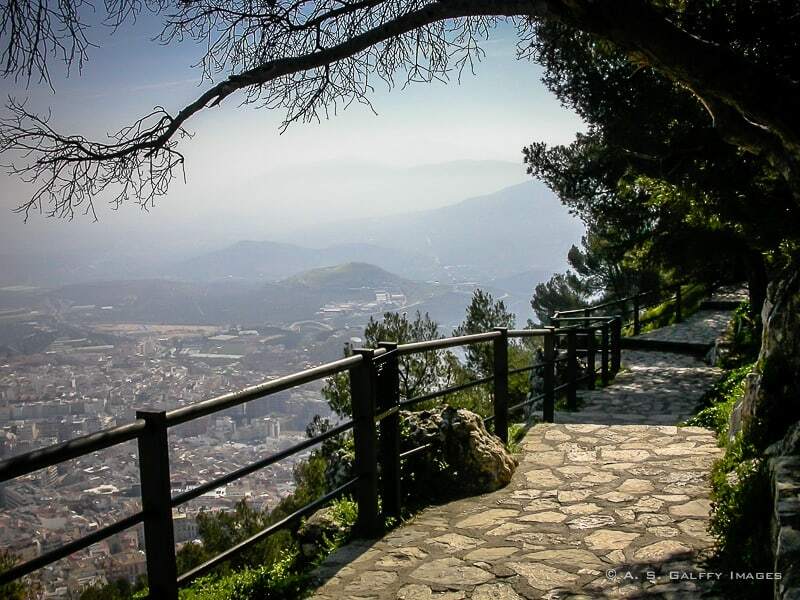 As you drive up the road, the views over the city of Jaén and the and the plains of Andalusia are breathtaking. But the ultimate panorama awaits you at the top, when you reach the parador. Parador de Jaen sits on the site of the former Santa Catalina Castle, an 8th Century Moorish fortress. 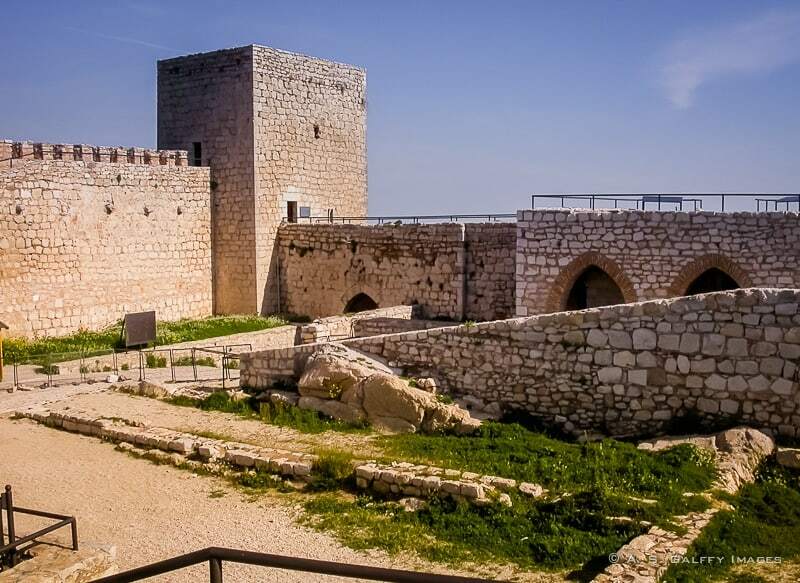 Although the original fortress was built by the Arabs, the current construction is of Christian origin. In 1246, after the Siege of Jaén, Ferdinand III of Castile captured the city and began the transformation of the castle. The construction became known as the New Castle on the Hill. Over the next centuries, the castle served as a fortress against the repeated attacks of the Moors. The builders of the new castle used some of the towers and ramparts of the old fortress. In 1965 when the castle was restored and extended to incorporate the Parador, many of the elements of the Old Castle have been destroyed as well. Today there are only a few remnants of the original fortress. Most of them are on the western side of the hill. 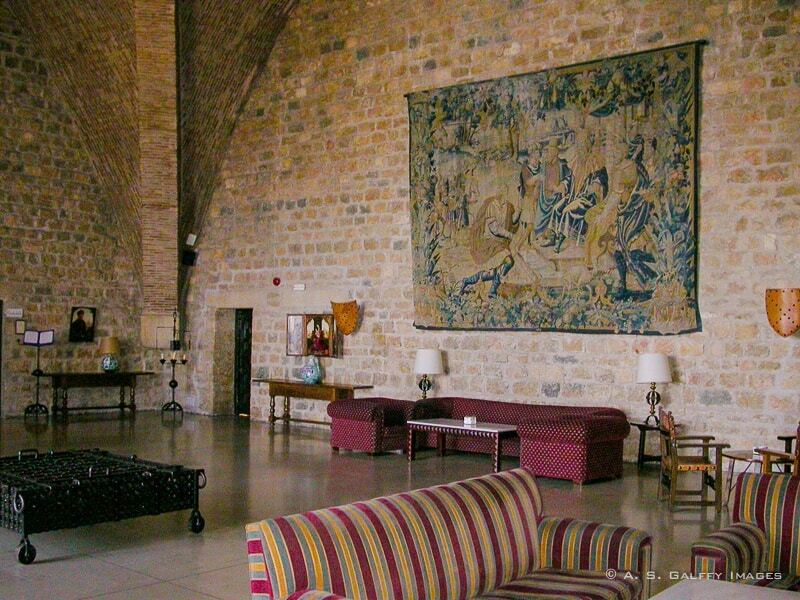 The medieval-style building of Parador de Jaen has a truly majestic appearance. Perched up high on a ridge above Jaén, the walls have a sheer drop down to the side of the mountain on which it sits. The feel inside the castle-hotel is equally majestic. The medieval decor, twenty meter high arches, wooden beams and large metal chandeliers hanging from the ceiling are quite impressive. The Arabic style dining room has heavy carved wooden doors and arched windows. Everything about the hotel – from its large, majestic lobby and dimly lit corridors to the enormous vaulted ceiling and heavy studded-wooden doors – describes its Moorish roots. The rooms are spacious too. They have tiled floors and amazing views of the city. Some of them have balconies. Jaen city has a beautiful square Gothic cathedral, one of the most important Renaissance-style cathedrals in Spain, as well as the oldest surviving Arab baths in the country. To get a real feel of the city, you should take a walk through the narrow, Moorish-like streets that surround the cathedral. The castle complex where the parador is located can also be visited. Staying at a Parador is a destination in itself. Besides being located in spectacular castles, convents, fortresses and monasteries, many of the Paradores are in World Heritage cities like Toledo, Segovia, Santiago de Compostela, or Granada. In addition to the history of the buildings you will also enjoy the comfort, luxury and technology of a 5-star hotel at a much lower price. Parador de Jaen is a romantic and enchanting place to spend a couple of days and visit the surrounding area. Have you ever stayed in a Parador? How stunning. I have always wanted to stay in a parador, and now I have an amazing one on my list. There are several great paradores in Spain and Portugal. You should try staying in one of them sometimes. When they first started the prices were very low, but lately I've heard the paradores became a very high end option for lodging. I have never stayed in a Parador but I would like to. I stayed in home exchanges when I visited Spain several years ago. You should try the Paradores sometimes, Rhonda. They are exceptionally good and not too expensive. What a beautiful place to stay! 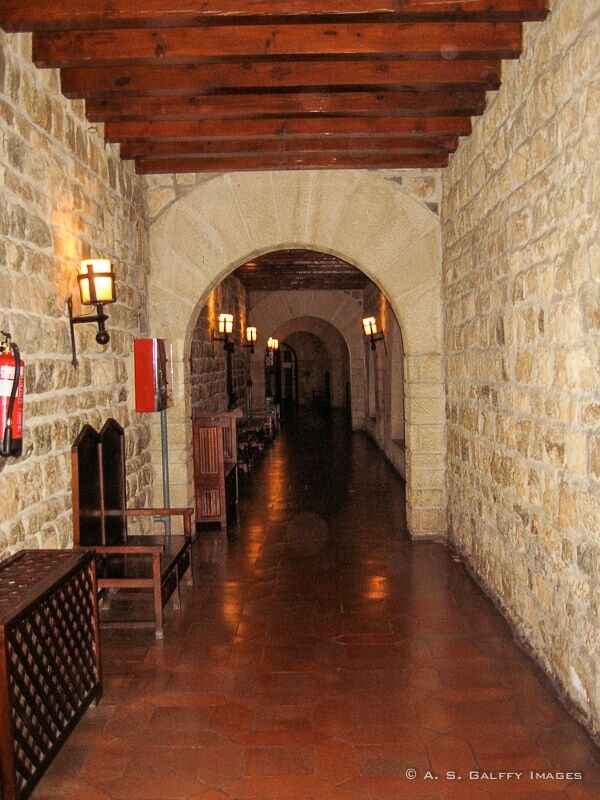 We love staying in a Parador, our favorite was in Guadalupe in the monastery. Thanks for linking up with #wkendtravelinspiration, see you next week! Thanks for sharing the history of this parador, Anda. Seems each has a particular charm . . . this one is perched atop a mountain and the drive there, in itself, is an eyeful. Would certainly enjoy touring one of the olive groves the province is known for. I hope you will get to stay in a parador sometimes soon, Melodie. The prices are very reasonable. Thank you Suze. Parador de Jaen was quite a beautiful surprise. Thanks for the pictures and research! Fabulous place! Seems that this is another place that goes on the must visit list!